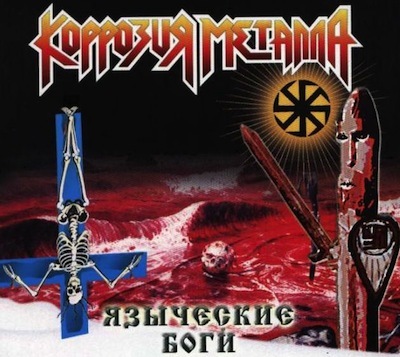 Бей чертей, a song by the Russian band Corrosia Metalla, has been banned by the Russian Ministry of Justice. The Gagarinsky District Court in Moscow ruled on 22nd May that the song was 'extremist' and thus illegal, and the judgement was upheld by the Ministry of Justice on 27th September. Бей чертей was included on the band's album Языческие боги, released in 2002.